This piece was inspired by a combination of love and Dia de los Muertos, which is a celebration of those who have come before us. Honoring our deceased relatives is, to me, an act of love, a way of keeping the memories alive and passing those memories on to those that come after us. 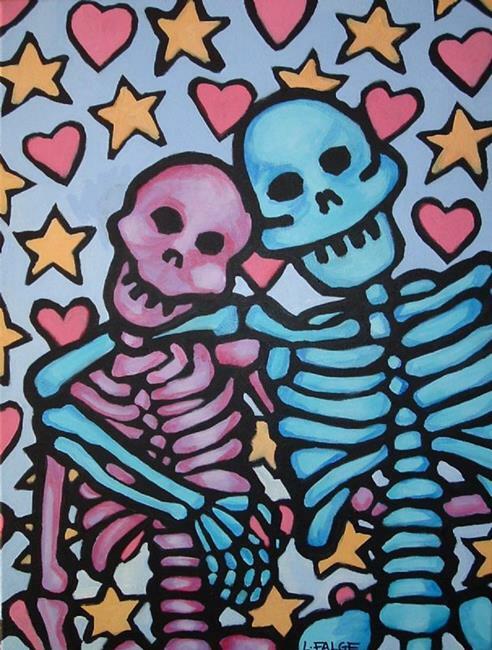 The skeletons in this work are still completely full of joy, long after the flesh has melted away from their bodies. They symbolize an eternal love that never dissipates, but gets stronger as it passes from generation to generation.